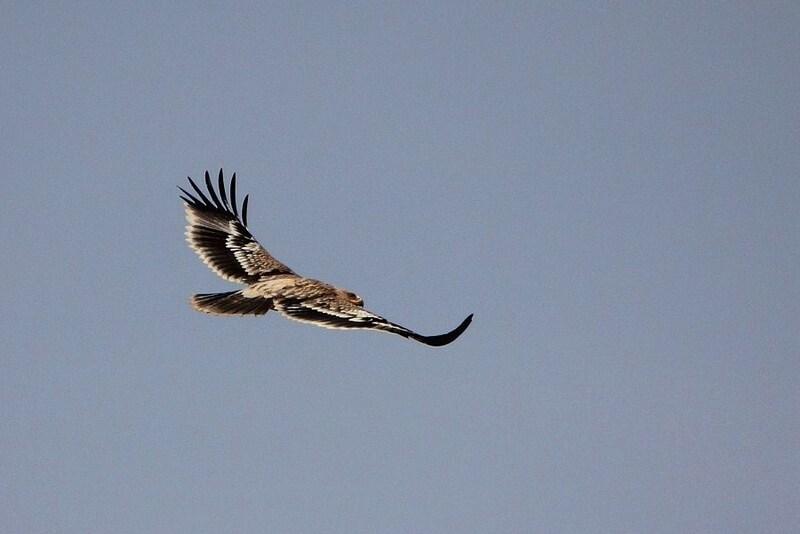 The Eastern Imperial Eagle is an uncommon winter visitor to Saudi Arabia with most records coming from the north of the country where they are generally seen inland rather than near the coast. The species breeds from Eastern Europe across Asia to China and winters in the Middle East, east Africa south to Tanzania, the Arabian Peninsula, India, and from Thailand to Korea. 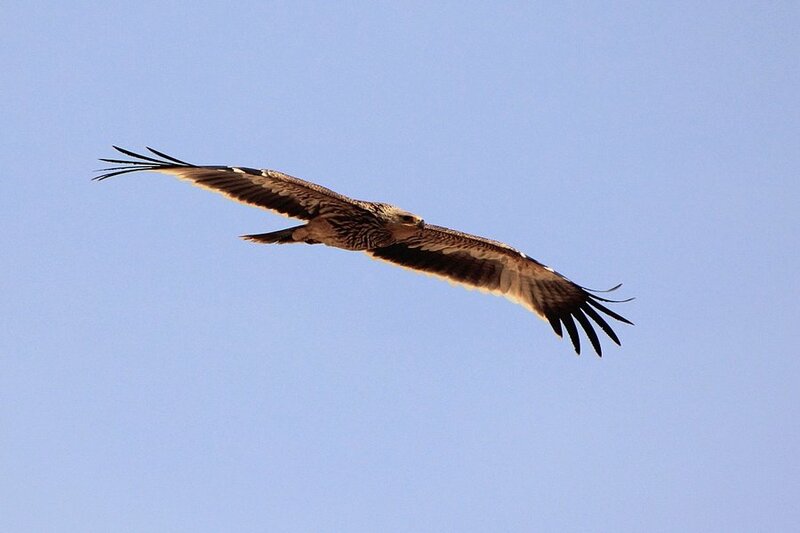 Viv Wilson saw a juvenile bird in Tabuk, which is inland, in the north-east of the Kingdom a couple of weekends ago and managed to get a few really good flight shots of the bird. Viv has kindly allowed me to reproduce his photos on my website shown below. 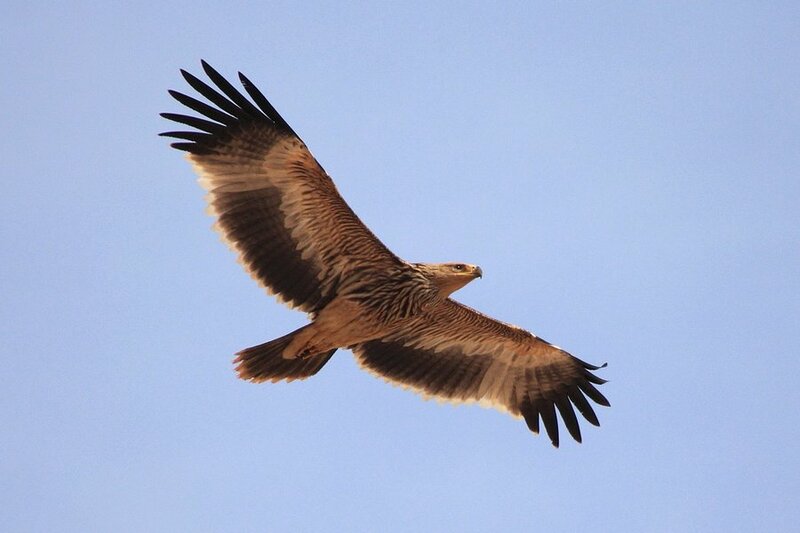 Currently Eastern Imperial Eagle is listed as vulnerable on the IUCN Red List as it has a small global population and is likely to be undergoing continuing declines, primarily as a result of habitat loss and degradation, persecution and prey depletion.